The Community Foundation of Anne Arundel County established two funds — a scholarship in memory of the five victims and the "Capital Gazette Families Fund" — which have raised thousands since they were started after the June shooting. 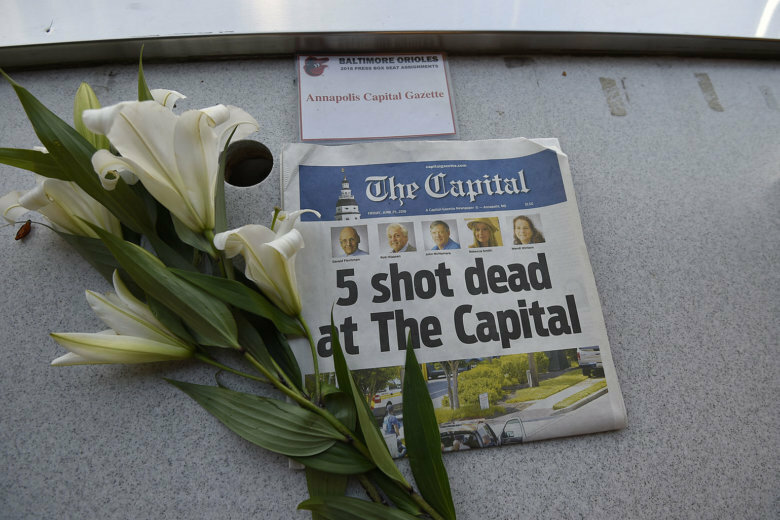 WASHINGTON — Since the Capital Gazette newsroom shooting in Annapolis, Maryland, thousands of people have donated in honor of the five employees who were killed on June 28. The Community Foundation of Anne Arundel County established two funds — a scholarship in memory of the five victims and the “Capital Gazette Families Fund” — which have raised $685,000 since they were started. The funds were set up shortly after the shooting. The alleged gunman, who had a yearslong grudge against the news outlet, shot and killed Capital Gazette employees Wendi Winters, Gerald Fischman, Robert Hiaasen, John McNamara and Rebecca Smith. So far, the families fund has covered the cost for the victims’ funerals, said Amy Francis, director of development for the foundation. Meetings are still on going on how to best distribute the monies for both funds, Francis added. A floor above the newsroom, Capital Funding Group employees waited in fear as police searched the building after the shooting. Owner Jack Dwyer said as his company supports its employees, he wanted to also honor the shooting victims by donating $100,000 to the scholarship fund. “Immediately when I saw it happen, we decided that, you know, look, we have to do something for them,” Dwyer said. Tragic events like this could happen to anyone, anywhere, Dwyer said, and he urged others to follow his lead and donate if they are able. “If you have the means to contribute some money, it would be the right thing to do,” Dwyer said. The scholarship will help students pursuing a career in journalism at the University of Maryland, College Park, where Hiaasen served as an adjunct professor. Other big donors include the Merrill Family Foundation, which was founded by former Capital Gazette owner Phillip Merrill; it donated $100,000 to help the families of the victims. Also, the Michael and Jacky Ferro Family Foundation announced it will match up to $1 million in donations to the families fund.